What was the real James Bond thinking? 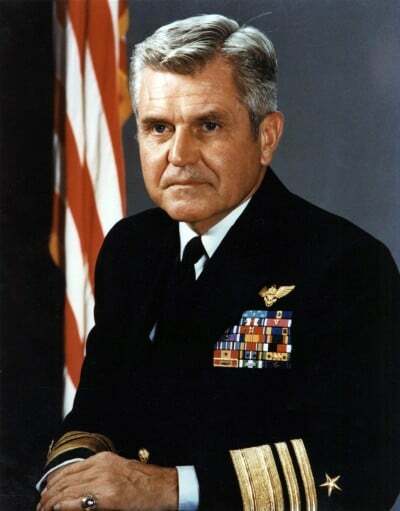 James Bond Stockdale was the highest ranking United States military officer in the “Hanoi Hilton” prisoner-of-war camp during the peak of the Vietnam War. What were the thought processes of someone who spent almost 8 years in prison, including 4 years in solitary confinement and was tortured over 20 times? He lived out the war without any prisoner’s rights, no set release date and no certainty as to whether he would even see his family again. In 1960, at the age of 37, as a high ranking naval officer Stockdale was called to enrol in a master’s degree programme in International Relations at Stanford University. While there he also took a philosophy course called “The Philosophy of Good and Evil”. For this he was required to read classic works by authors such as Plato, Aristotle, Socrates, Koestler and Dostoevsky. On the last day of the course his professor gave him a gift. It was a manual for the combat officer called Enchiridion by the first century Greek philosopher Epictetus. Never heard of it? Nor have I and nor had Stockdale at the time. He was initially puzzled as to why he should be given such a book and how the teachings of a classical stoic philosopher could apply to him as a fighter pilot. However, he chose to trust the wisdom of his professor and kept a copy of the manual by his bedside at each of his duty stations and on every ship he sailed. He immersed himself into what he read and set about putting into practice its messages about the importance of character. He studied subjects that included discipline, self-control, endurance and perseverance, virtue and moral character, courage, toughness tempered by compassion, pursuit of one’s goals, attempts to be the very best, and dignity in the face of deprivation and suffering. It was on 9 September 1965 Stockdale’s plane was shot down over Vietnam and all his learning was put to the test. He struck the ground with enough force to fracture a bone in his back and severely damage his leg. Epictetus taught that one can never be the victim of another, only the victim of himself. Stockdale was put in solitary confinement for 4 years because his North Vietnamese captors knew he was a commanding officer and wanted to prevent him from giving orders to the other prisoners. However, he was able to communicate between shared walls with a tap code that they invented. As the commanding officer for those imprisoned Stockdale and his fellow prisoners were called to follow the Military Code of Conduct to only divulge their name, rank, serial number date of birth. They were called to resist their captors and to make every effort to escape. However, as the prisoners began being tortured, it became apparent that this strategy was not sufficient. There was heated debate amongst them on the occasions when they could freely communicate with each other. Stockdale had to carefully weigh opposing views and gradually developed a set of rules for the prisoners that incorporated the basic values of Stoicisim. The aim was to give them a united purpose and motivation as prisoners while empowering them to not give in to despair. The main focus of Stoic philosophy is developing personal control, reducing vulnerability and living by a set of time-honoured standards that promote dignity, even under the harshest of conditions. To develop personal control it is vital to distinguish that which is within your control from that which is beyond it. While I do not personally follow stoic philosophy, I am intrigued by the experience of Stockdale. In a future blog post we will look at life lessons we can take from his experiences. What lessons do you take from the life of James Bond Stockdale? Amazing post, Sunil, and some great lessons in there. Would love to learn more on both Epictetus and Stoicism – I suspect there’s a lot of timeless wisdom in what they say which could be applied to the demands of daily life. I will be building on this in a future post coming up in a few weeks time. My biggest take away (which I will expand on) is the importance of defining what you can control and what is out of your control. The next step is to focus your energy and attention on what is in your control rather than complaining about what is out of your control. That is certainly easier said than done! “Lameness is an impediment to the body, but not to the will.” This strong sentence motivates us not give up in even hardest situation. Very interesting and inspiring story. My tendency is to try to run away from difficult tasks. Facing and confronting falsehood and enduring hardship as a leader are the challenges I am facing daily. Yes it is so tempting to want to run away. We need wisdom to know which are the challenges we should face head on and which we should leave for another time.